What is the ATM and what does it do? The ATM 2 (Active Therapeutic Movement) is a medical rehab device that restores function and eliminates painful bending or movement patterns by applying belts to the body’s painful area, then instructing a patient to perform resistance exercises. The process by which this rehab therapy works is simple. We are re-training the body’s central nervous system with a new muscle activation pattern. It also could be described as tricking the body’s CNS by using belts, shifting the pelvis, and adding different pressures to muscles and creating a new and “correct” muscle firing pattern. The theory of shunting the body’s painful movement patterns by applying a belting system and resistance training was first thought of by a famous physical therapist by the name of Brian Mulligan. “This incredible apparatus has further enhanced my ability to treat the lumbar spine. When indicated, it is instantly beneficial, and the results obtained are gained without pain.” Source: BackProject Corporation. Then, the ATM 2 Pro was designed and developed by Steve Hoffman and the BackProject Corporation. 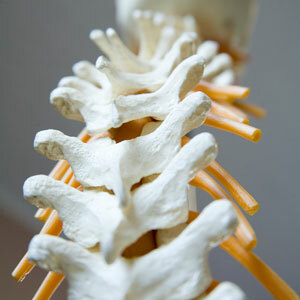 It has been used by many physical therapists, chiropractors and many other health care professionals worldwide. ATM rehab is a robust phenomenon that will, if instructed and applied correctly, show results immediately in a patient’s bending pain and range of motion limitations.